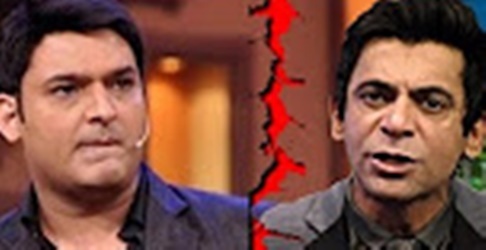 It is learned that the replacement of Sunil Grover with the comedy king Raju Srivastava is likely after an ugly fight between Kapil Sharma and Sunil Grover. Watch some of the greatest bloopers of 2016. Two persons have performed a popular ‘Naagin’ dance on Delhi Metro Train. It is certainly a fun moments for the co-passengers, who have enjoyed the journey. Some of the elated co-passengers have captured the dance moments in their mobiles. Comedian Sunil Pal said hilariously that though the name of Katrina Kaif’s movie is Baar Baar Dekho, but his heart permits to see only once. In New York, Los Angeles, San Francisco, Cleveland and Seattle, life size naked statues of Republican presidential candidate Donald Trump are seen surprising people. Anam Viveka’s Gangnam Style steps ! TDP senior leader Anam Vivekanand Reddy, known to be possessing variety of characters inside him and number of times, he displayed also.This times, he has danced to Gangnam Style steps. Watch the rickshaw puller who is making money for few seconds ride helping people cross a water logged streets. This rickshaw puller in Delhi has been charging 5 Rs each from people to carry them from one stretch to the other. In one of the birthday ceremony, amid the friends and relatives,a prank turns costly resulting disaster.One of his friends, has decided to push birthday boy’s face into the cake. This has turned ugly and his plan went awry as the table collapsed.The cake was seen falling to the floor. Watch the punjabi groom, who suffered wardrobe malfunction as his pyjama stars falling. There was a laughter in the wedding ceremony.